Attention TriMet-ATU 757 Members and all ATU Activists!Please join us today, April 27th at 4:30 pm outside the Portland Building, 1120 SW 5th Avenue, Portland for April’s Information Picket. 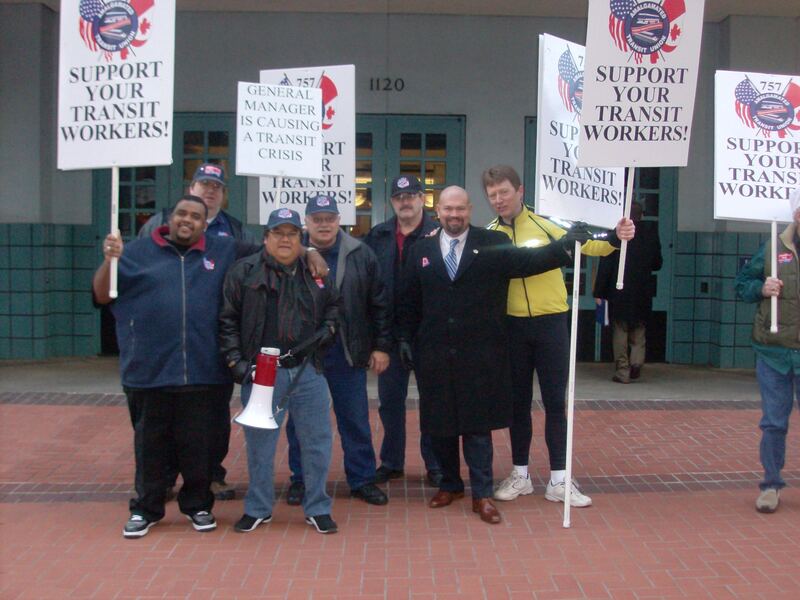 TriMet’s Board of Directors’ will be offering the public an opportunity to comment on its plan for fiscal 2012 federal transit funding so April’s Board of Directors’ meeting will begin at 5:30 pm and our picket will start at 4:30 pm. This entry was posted in Uncategorized and tagged Amalgamated Transit Union, ATU 757, Board of Directors, info picket, Information Picket, negotiations, Solidarity, TriMet. Bookmark the permalink.